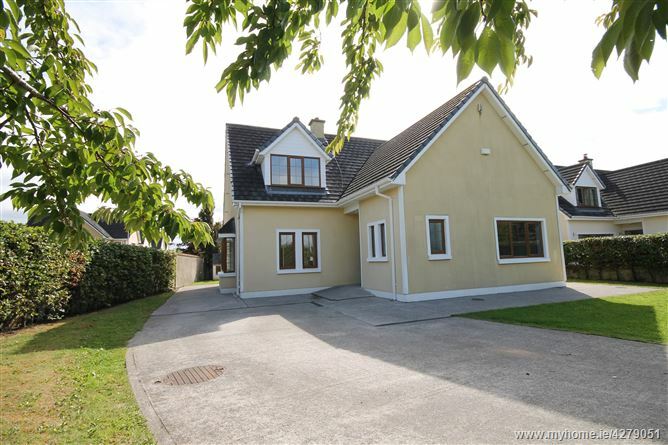 SUPERB DETACHED C.2,000 SQ. FT. DORMER BUNGALOW. Located in the picturesque village of Calverstown, with convenience store and pub only 3 miles south of Kilcullen/M9 Motorway interchange with direct access to the City. 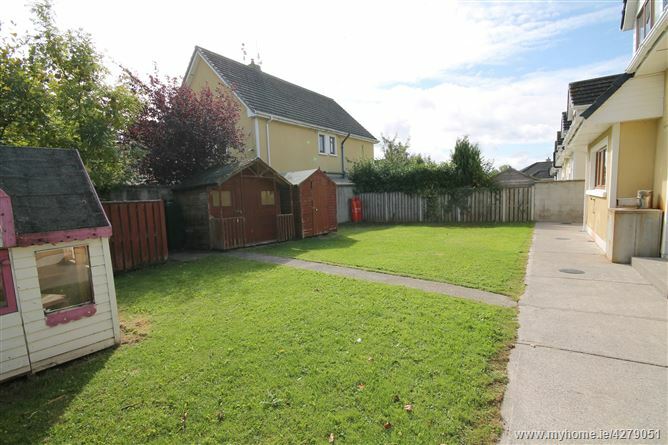 Situated on a corner site in this quiet cul-de-sac of 3 houses overlooking a large green area in this modern development of detached houses. Built in 2004 extending to c.2,000 sq. ft. (c.185.8 sq. 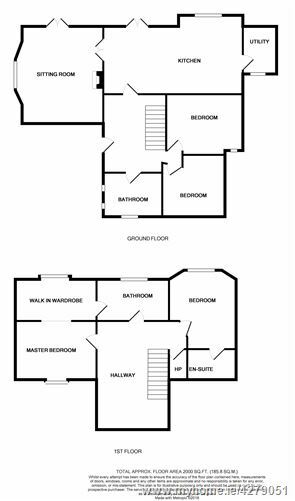 m.) of spacious living accommodation with PVC woodgrain double glazed windows, oil fired central heating, 9ft ceilings downstairs, 2 ensuite bedrooms, PVC fascia/soffits and cream fitted kitchen with island unit and granite worktops. Approached by a concrete driveway with gardens to front and rear, mostly walled, all in grass with beech hedging around the front wall. There is also barna shed. 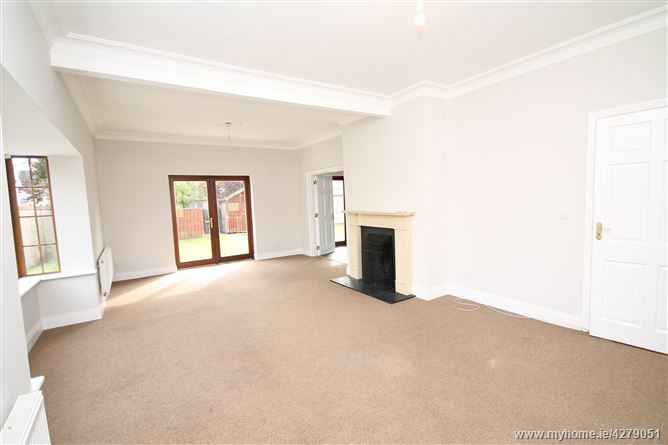 Carpets, blinds, oven, hob, dishwasher, fridge/freezer, microwave and garden shed. 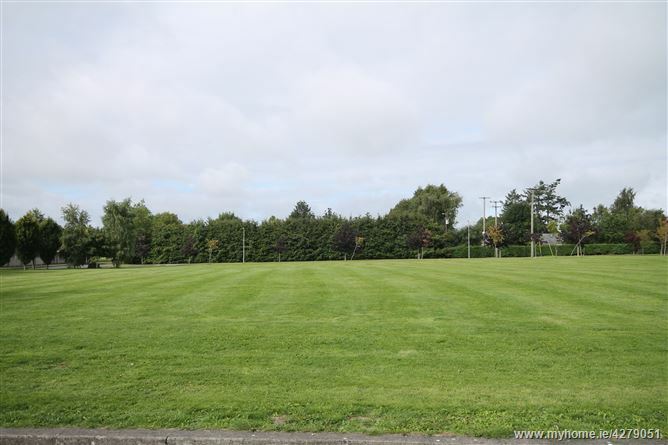 The surrounding towns of Kilcullen 3 miles, Newbridge 8 miles and Naas 10 miles offer a wide range of amenities with pubs, restaurants, boutiques and shopping including Whitewater Shopping Centre and Kildare Retail Outlet Village all within a 10 minute drive. Mains water, mains drainage, refuse collection, oil fired central heating and alarm. •	Oil fired central heating, alarm. 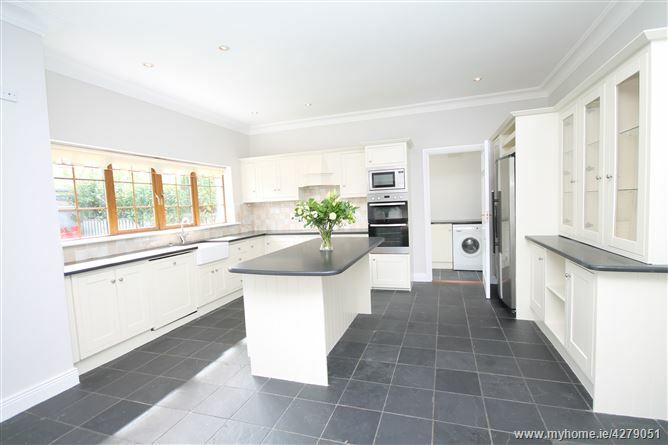 •	Cream fitted kitchen with island unit, granite worktops. •	Woodgrain PVC double glazed windows, PVC fascias, soffits and gutters. 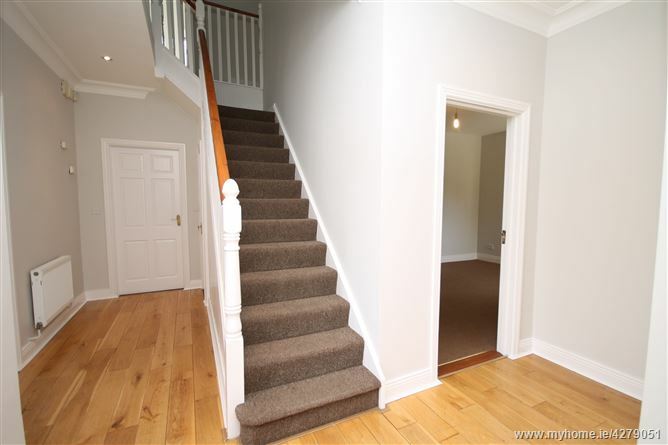 •	Internal wood panelled doors throughout. 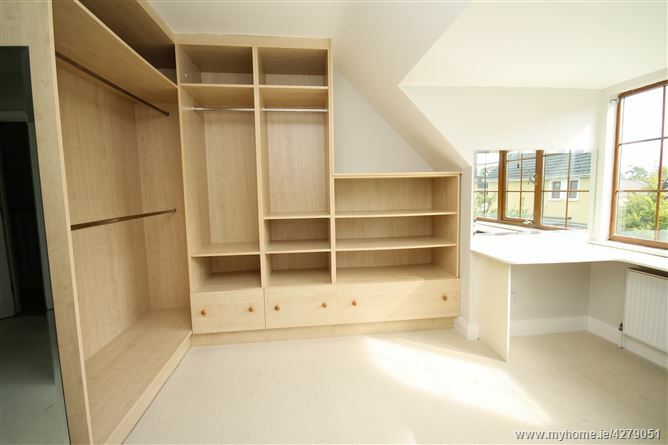 Solid oak floor, coving, recessed lights and understairs storage. Range of cream fitted solid wood units with granite worktops, island unit, Belfast sink, tiled floor, tiled surround, Neff microwave, Neff integrated dishwasher, fitted Neff double oven and hob, double American style fridge, coving, recessed lights and French doors to garden. 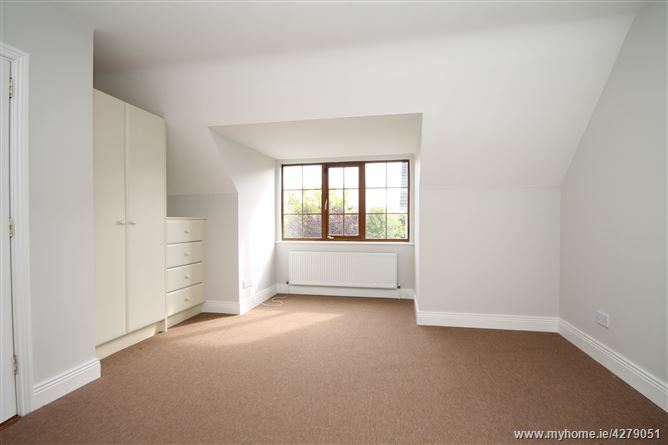 Range of fitted units, tiled floor, plumbed for washing machine/dryer and door to rear garden. Fitted bath, w.c., w.h.b., wood panelled surround, coving and tiled floor. Walk-in dressingroom off (c.6m x 3.5m) shelving and handing space. 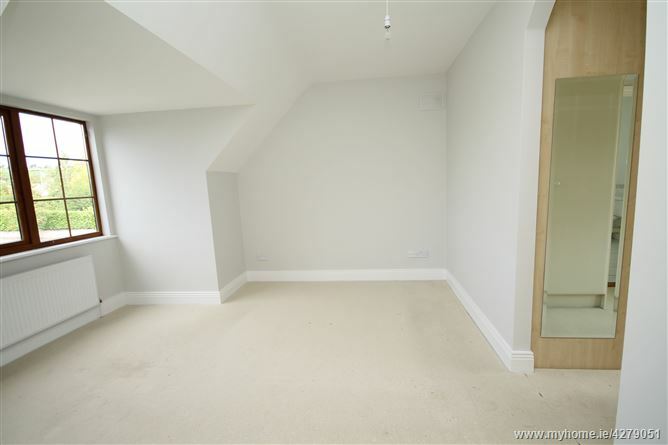 Previously a bedroom. 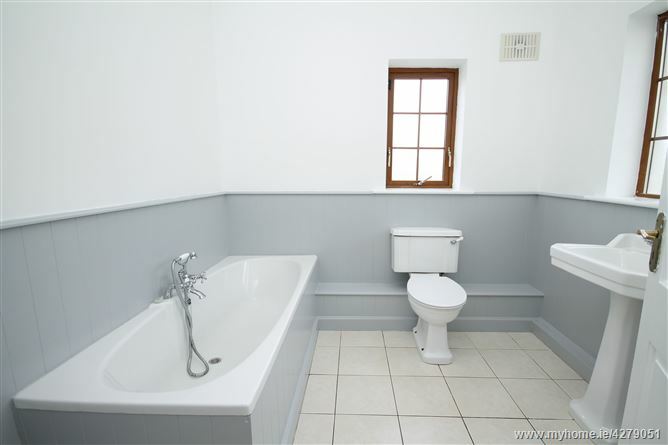 Bath, shower, w.c., w.h.b., tiled floor and surround. 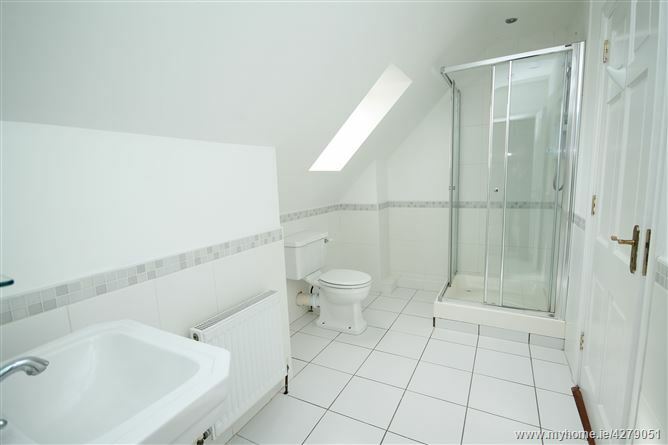 w.c., w.h.b., tiled floor and surround.